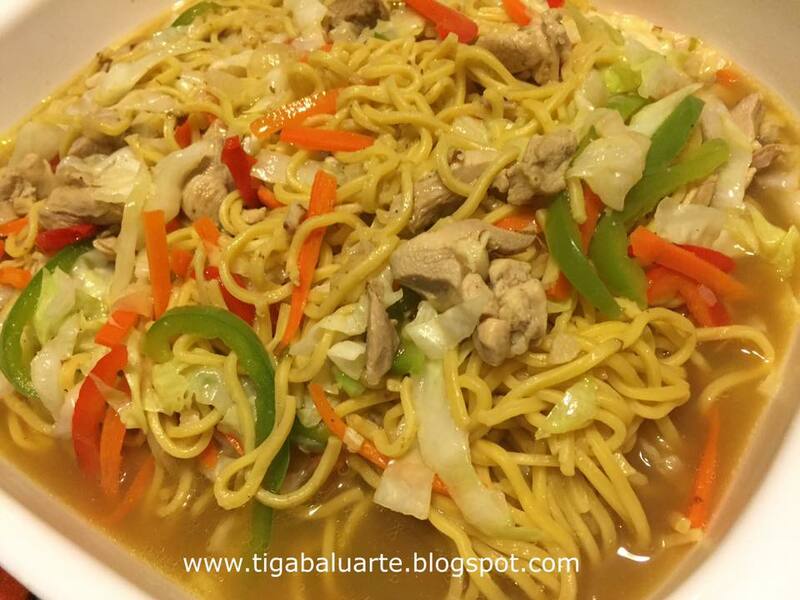 Pancit Lomi is a simple type of noodle dish that make use of thick egg noodles. 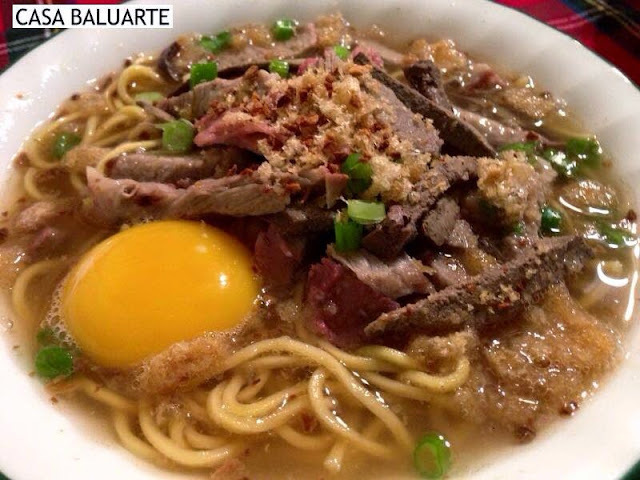 It is easy to make and originally from Batangas. This recipe is even more simple using chicken, fish cake and shrimp but still surprisingly good and healthier. I know this is not the typical Lomi recipe but close enough. 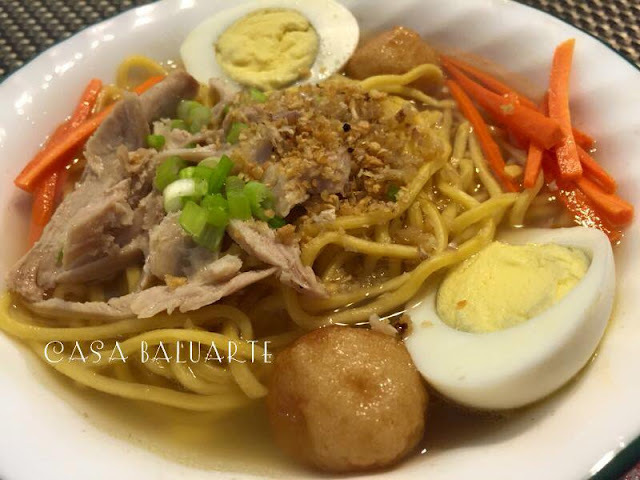 If you want the other Lomi recipe, click name link below to see complete recipe. Using a large pot, boil chicken in 8 cups of water. Once it starts to boil add chicken bouillon. Continue boiling in medium low heat for about 20-30 minutes or until chicken is fully cooked. Once chicken is fully cooked, remove chicken from the broth and allow to cool. Set aside remaining broth for your Lomi soup. Once chicken is cool enough, shred and set aside. Using the same (rinsed) pot, heat and add oil. Saute onion, garlic and ginger until transparent. Add shrimps, carrots, celery and sayote. Stir and cook for few minutes. Add shredded chicken and fish cake. Stir and cook for few minutes. Add Miki noodles to the pot and continue cooking for about 5 minutes. Add cabbage and continue cooking for a minute. Add cornstarch diluted in water to the pot and stir to dissolve. Continue to cook for a minute or two. Add eggs to the pot, allow to cook for a minute before stirring. Serve hot and enjoy. 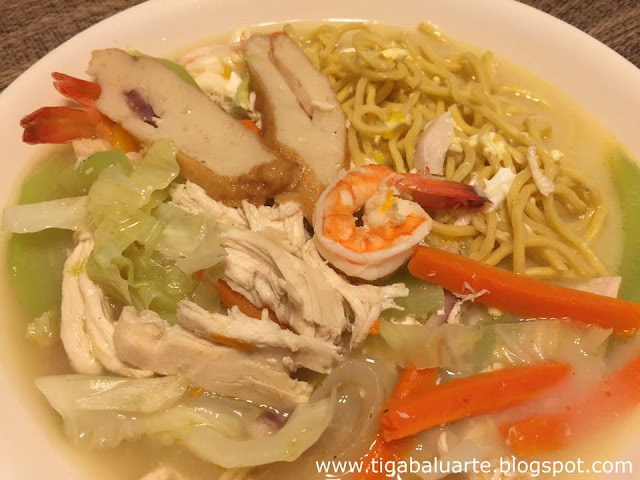 This is a healthier version of cooking Lomi. You can always add pork and liver to this recipe if you want. 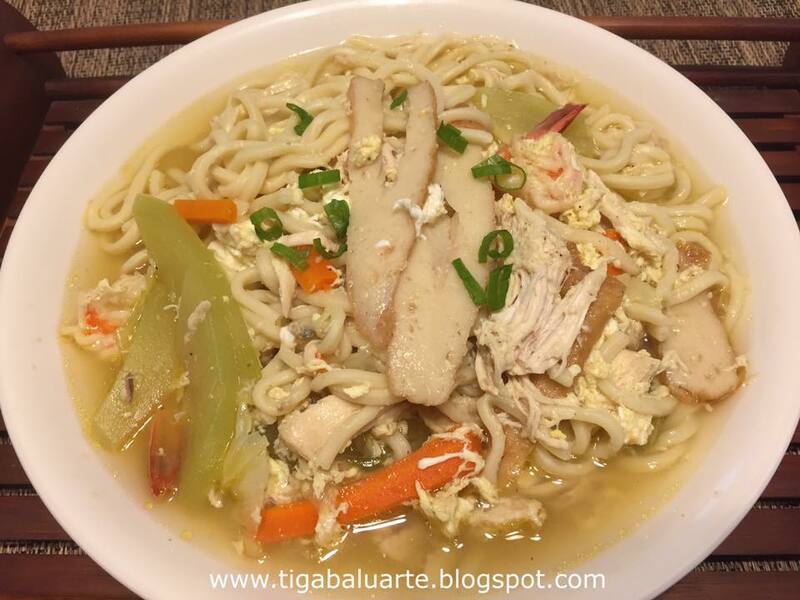 If you want a more complete Lomi recipe see name link below. For more MIKI related post click name link below to see complete recipe.